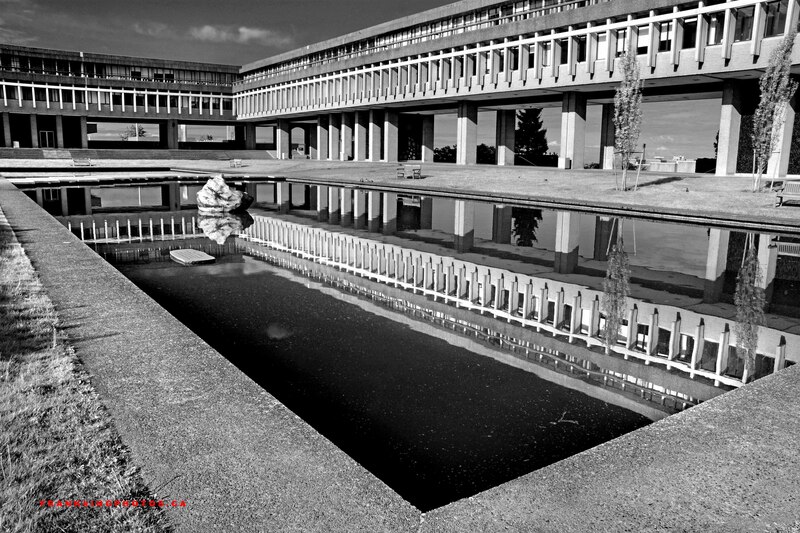 I had seen photos of this university and they looked so intriguing that when I visited Vancouver recently, I made an early-morning trip to nearby Burnaby and checked out the campus. Designed in 1965, it definitely shows some wear & tear. And yet, scenes like this had made me very excited for the artistic possibilities (especially after the sun finally broke out of the clouds). Tripod, polarizing filter.